Toyota brought back to life the legendary “Supra” moniker back in March at the Geneva Motor Show where it unveiled the GR Supra Racing Concept. It looks like the Japanese marque isn’t quite done yet with exploring the sports coupe’s racing side as another concept for a track-only machine has been developed. It goes by the full name of GR Supra Super GT Concept and we’ll check it out in the metal in roughly a month from now at the 2019 Tokyo Auto Salon in Japan. There’s not much to see in the adjacent shadowy teaser image, but we do notice the large rear wing and a massive diffuser sticking out like you’d come to expect to see on a Super GT-spec beast. Expect the race car to looks substantially more aggressive than the previous concept and could serve as a sneak preview for a future Super GT entry. Besides these two Supra-based race cars, let’s keep in mind Toyota is working on a fully fledged hypercar previewed by the GR Super Sport Concept. Aside from coming out with a road-legal version, the company is expected to enter the high-powered machine at Le Mans as early as 2020. 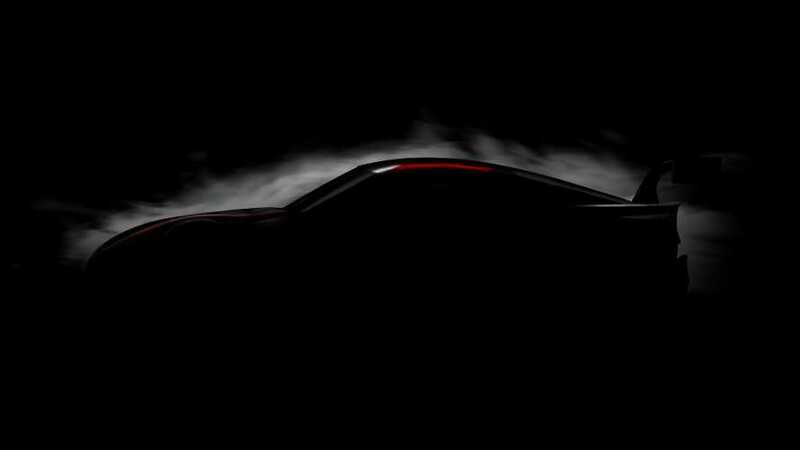 Meanwhile, the fifth-generation Supra will (finally!) premiere in the first half of January 2019 at the North American International Auto Show in Detroit. Its race car counterpart, the GR Supra Super GT concept, will be on display in the Land of the Rising Sun at the Tokyo Auto Salon on January 11 for the press and on January 12 and 13 for the public. The GT-spec Supra will share the spotlight with the TS050 Hybrid, Yaris WRC, and the Nurburgring-spec LC – all of which are set to compete in 2019. Also on display will be a Supra that took part in a series of races at home in Japan. Previous Previous post: Vidéo : Tony Stark annonce l’Audi E-tron dans Avengers 4. Next Next post: Essai de la nouvelle Audi R8 : baroud d’honneur ?